The loafers that everyone wants are coming back and they’re returning in all the colours you love! Hand-woven leathers, cushioned comfort in all the right places – it’s no wonder they sold out so quickly. So in case you missed them, you can now pre-order your favourite pair of must-have Clapham loafers for despatch to you at the beginning of August. In a gorgeous shade of pewter, these will go with everything. No wonder they’ve been a firm favourite since they first launched. Opt for understated elegance in timeless navy. Pair with cropped white trousers or a crisp linen dress for a fresh summer feel. Luxurious comfort meets feminine glamour. 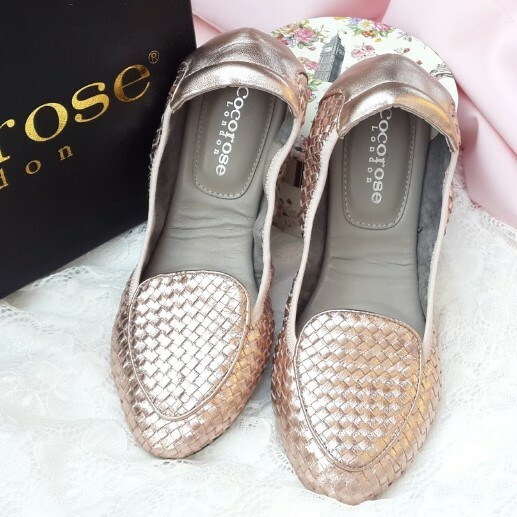 Our dreamy Clapham loafers in a stunning shade of rose gold have been in such high demand since they sold out, which is why we’re super excited to finally welcome them back!